Slots have been around for decades. Starting their lives as simple, three-reel, single-payline machines in land-based casinos, they have evolved immensely over the years. 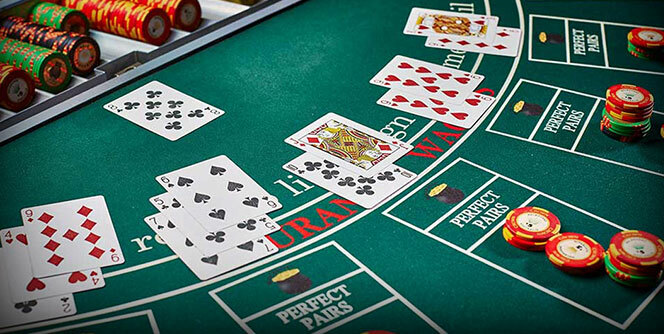 The gambling industry has done its best to keep up with players’ expectations, producing more involving and more entertaining games powered by modern graphics and other advanced technologies. 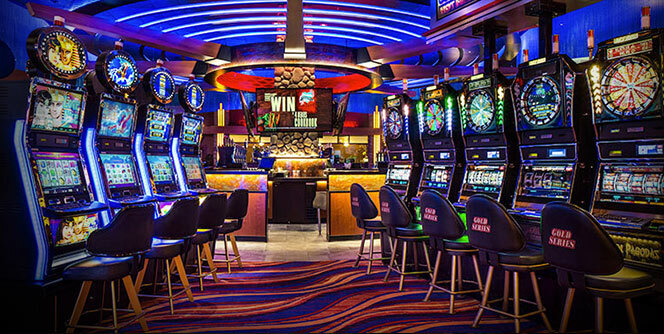 And, while all the bells and whistles certainly help make slots more appealing for the players, the majority of those frequenting casinos (in all their varieties) are there primarily for one thing: to win big. Slots have always been unique in this regard, offering pretty sizable potential payouts in comparison to the stake, which certainly helped their ever-growing popularity. Lately, though, we’ve been seeing a revolution of sorts in terms of slots and their potential payouts. Realizing that, first and foremost, players are after big wins, companies developing slots have decided to start taking things up a notch, designing games with immense potentials. Big Time Gaming, a fairly new player in the game development industry was probably the pioneer in this particular area but others quickly followed. We’re talking about machines featuring potential payouts in excess of 20,000x your bet, with somewhat regular (when compared to other, older slots) wins of 5-6,000x the stake. On the surface, this is a dream come true for the players, as even someone spinning away on a $1 stake can hope to score what money would consider a life-changing amount. And, to an extent, this is truly so; but these games have also another, darker side to them. 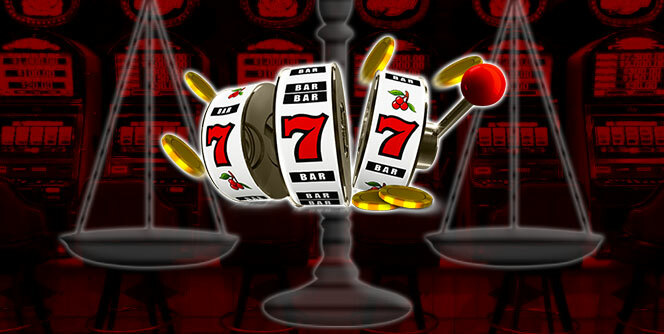 In this blog, we’ll try to look into advantages and pitfalls of high variance, modern slot machines to see what’s what. Are These Huge Wins Really Possible? The first question players ask when dealing with these new slots is: can you really land these huge wins or is it just a marketing stunt? Now, reputable companies can’t afford the luxury of actually lying about their numbers as their claims are verified by independent bodies and regulatory commissions. So, their claims are not unrealistic. Games like Bonanza or White Rabbit can pay huge amounts of money and YouTube is full of videos showing such wins. While some will never believe their own eyes and will always find a conspiracy theory to fall back on, the truth is that these games can and do occasionally pay huge. The natural skepticism is caused by the fact we aren’t really used to these types of games. How come older games weren’t so “generous,” then? Why is it that only now we are seeing a real flood of these games? One of the reasons why game developers are now able to produce these games are technological breakthroughs, which provide them with many more options. Practically infinite number of potential reels, paylines, and pay-ways makes it possible to design anything you can think of. The only complication is coming up with a mathematical formula to make the game sustainable. So, it isn’t that game developers before didn’t think of this. They just hadn’t had the necessary resources to create such games and make them work the way they’d like. These days, with powerful computers and highly detailed and specific underlying models, these obstacles are no longer a big issue. Those familiar with gambling are also familiar with the concept of variance, which is basically a fancy (and scientific) word for luck. A slot may have an RTP of 95%, for example, but that doesn’t mean it will pay back $0.95 on every single spin you play on the $1 stake. Instead, there are millions of possible spins, which all together create the theoretical RTP. For an individual player at a specific point in time, though, anything is possible – losing several hundred without a single decent spin or having three consecutive bonuses. However, when talking about these slots with huge potential payouts, it is important to understand these games have to have a high variance (for the most part). If a game has a theoretical RTP of 96% but is also possible of producing 20,000x or even bigger wins here and there, it must compensate for these wins. The same goes for other high payouts of 1,000x and more. It is important to understand that the fundamental RTP of the game isn’t affected by any of this. The variance, though, means that there will be many more losing spins and, on a broader scale, losing sessions. For an average player, a slot machine with such a huge potential can be a real trap. The possibility of that elusive huge win is always somewhere in the back of our heads, pushing us forward for another set of 50 or 100 spins. Because you never know when the big one is going to come in. 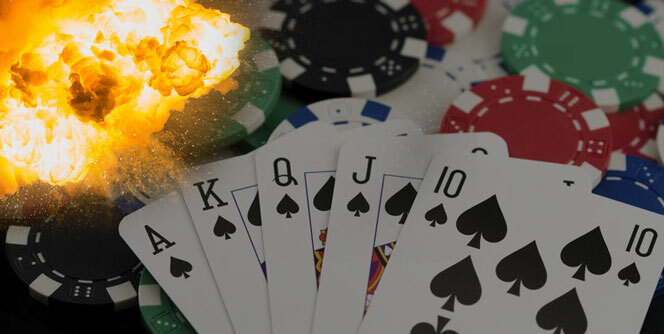 The problem is, with these high-variance slot, your bankroll can melt away very quickly. Bonanza, for example, is somewhat notorious for being extremely hard to bonus. The base game is quite decent and you can get in a lot of spins, but at the end of the day, it is the bonus we’re after. And that bonus can be expensive. Worse yet, there is no guarantee any particular bonus will be a good one. Yes, sometimes a bonus in Bonanza or a similar game will pay huge, but it will also often pay under 100x, which can be really disappointing if you’ve been chasing it for 1,000 or more spins. 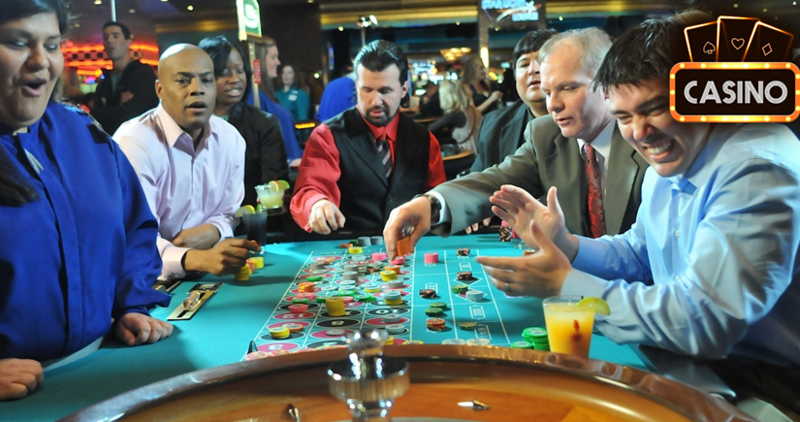 If there is one casino game where you can’t really change your luck a lot, that’s slots. So, it is hard to give any really meaningful advice as to how to approach these high variance games to give yourself the best shot at success. However, there are some things to consider and factor in before you decide to play. With games like this, it is easy to get carried away if things aren’t going in the right direction. It is easy to make yourself think that you just need one good bonus to get your back on the track and keep upping the stakes because you feel like the game “owes” you the bonus. Unfortunately, that’s not how things work. There is absolutely no way to will in the bonus and you are no likelier to get the bonus on your 1,000th spin then you were on the very first. This is true for all slots but these high variance games are particularly dangerous because bonus can sometimes be so hard to get that it really starts to feel like it is impossible to go another 100 spins without landing one. And, since these games do have a huge potential to pay big when you do get lucky, you’re probably better off playing them on a lower stake than less volatile slots. So, if your usual stake is $1, you can try with $0.40 – $0.60. That way, you’ll give yourself more spins for the same amount of money and, if you do get that lucky bonus, you’ll still win a good chunk of money. Conclusion: Do We Need High Variance Slots? The debate about these high variance, big potential slot machines has been ongoing in the gambling world for some time now. On one hand, they are great, because their appeal is tremendous. On the other, they can be so brutal to your bankroll that it begs the question if we even need these games or we’d better off without them? Personally, I believe these games are a nice breath of fresh air in the industry as they certainly bring back the excitement that you just don’t get with low variance slots. I’ll rather play a slot where I can win a meaningful amount of money than spin away on a machine where even the big wins are gone within next couple of hundred spins. The problem isn’t in the games but rather in how you approach them. Just because they can pay big, it doesn’t mean they will, so, like with any form of gambling, one must always stay in their comfort zone and not go over their budget. Why this is harder to do with these slots is because they actually have the potential to give back your losses and then some in a single lucky spin. People start chasing their losses and increasing their stakes, convincing themselves that the one must come eventually and they’ll be fine. This is the type of state of mind you need to avoid at all costs because these games can get you in trouble. If you like their potential, keep trying your luck with them by all means, but don’t go over your limits just because of that elusive potential and you’ll be fine. At the end of the day, gambling should be a form of entertainment and you must always stay firmly in control!